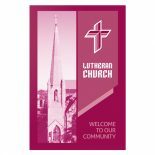 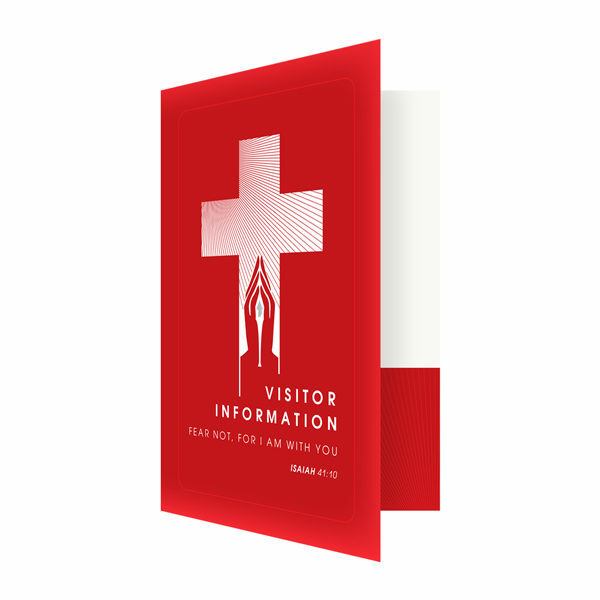 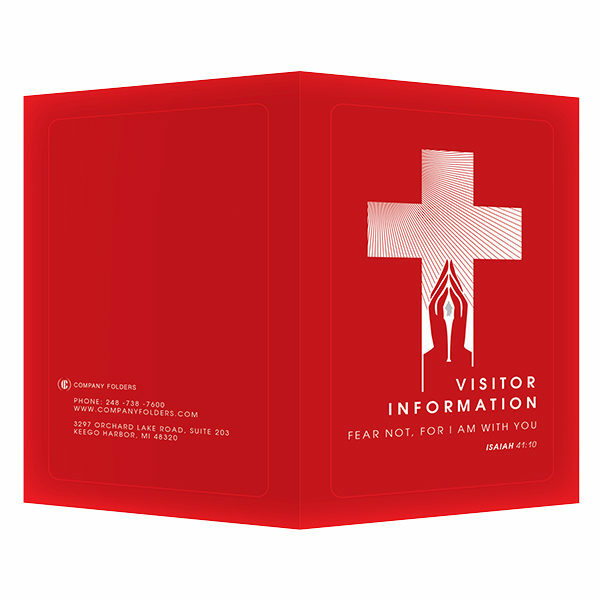 This folder template for church visitor welcome packets uses a vibrant red color designed to grab the viewer’s attention, while the Christian imagery and Bible quote puts them in a reverent state of mind. 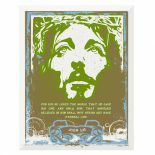 The cross graphic uses thin, radiating stripes to simulate the look of holy light. 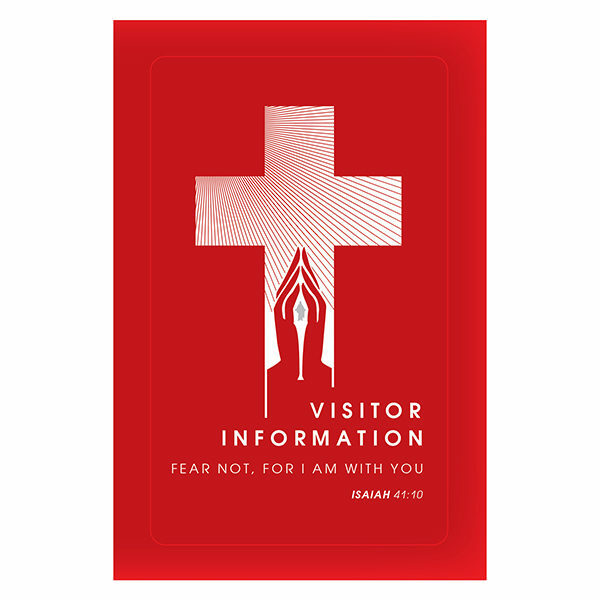 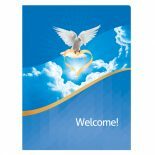 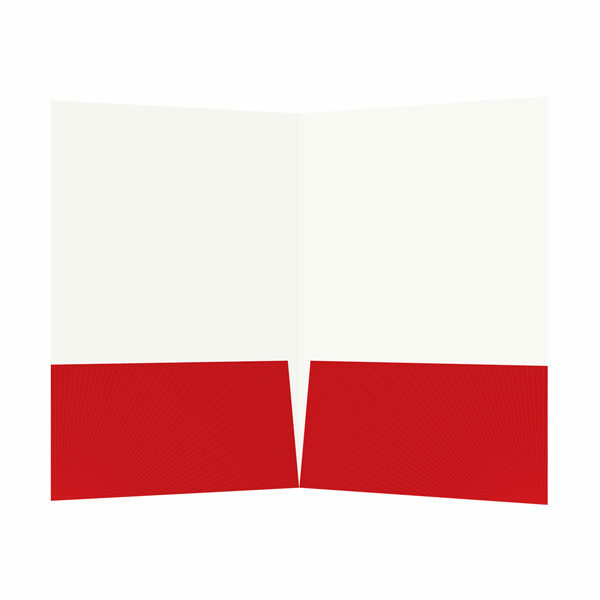 This template is ideal for welcome folders for churches that provide sign-up or informational documents to visitors, such as pamphlets, forms or flyers.